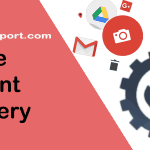 You are here: Home / Gmail / How to Delete Gmail Account 2019? 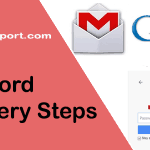 How to Delete Gmail Account 2019? 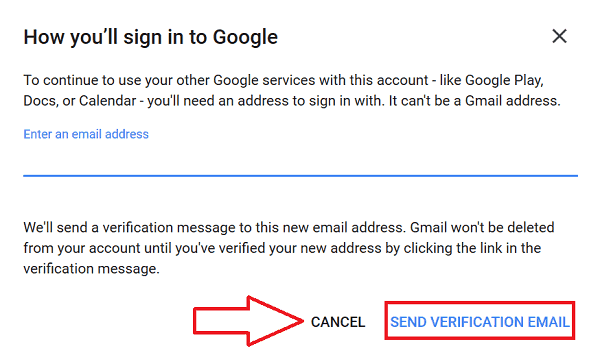 Delete Gmail account if you have multiple Gmail accounts or don’t want to use Google accounts anymore, or want to create a new Gmail id after deactivating old one. But be aware when you permanently delete Google account, you can’t reactivate it after a specific time. We suggest you download all of Google data before terminating the Google account. Once you close the Gmail account, data stored on Google Drive, Google Photos, and other places will be deleted permanently. 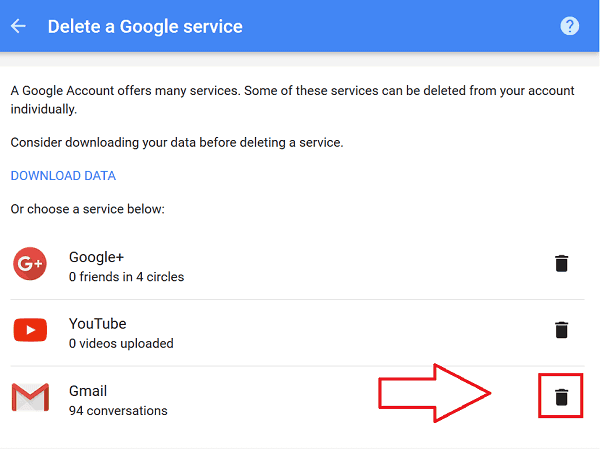 You can individually remove Gmail, YouTube, Google Plus and other service or delete entire Google account at once. Step 1: Visit Google Account setting page and sign in with the Gmail account you want to deactivate. Step 2: Click ‘Delete your account or services‘ under ‘Account Preferences‘. Step 3: Select ‘Delete products‘ if you want to delete a particular product like Gmail or YouTube. Select ‘Delete Google Account and data‘ if you want to terminate the entire Google account. Step 4: Google will ask you to enter your password again. Input your password and click ‘Sign in‘. Step 5: You can select the product you want to delete. If you want to delete Gmail only, click on delete button right beside it. Step 6: You have to enter a new primary email address to access other Gmail products. Enter a new email address. It can’t be a Gmail address. And click ‘SEND VERIFICATION EMAIL’. Step 7: Open mailbox of your alternative mail. 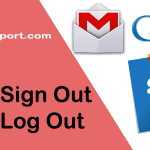 You will get confirmation mail to delete a Gmail account. Click on the link, and you will be redirected to the Google site, enter the password again and click ‘Confirm‘. Gmail account deletion process is now complete. 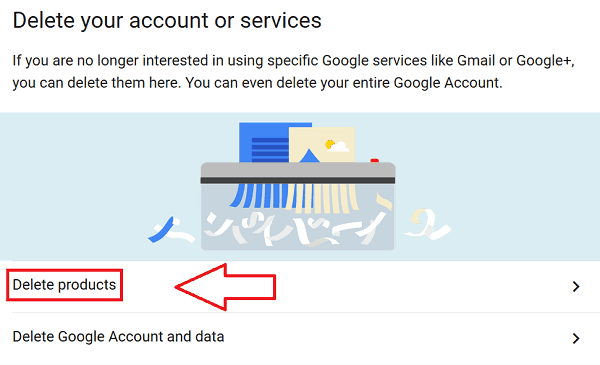 All your Gmail data is terminated and to access other Google product or services you have to use an alternative email address which you’ve entered in Gmail termination process. Note: You can not delete Gmail account from iPad/iPhone or Android app. If you want to delete Gmail account from mobile, then you have to do it from the web browser. How to Delete Gmail Account from Phone? You can not delete the Gmail account from the mobile app. You have to follow the procedure mentioned above from the mobile web browser. If you just want to remove the Gmail account from a phone, instead of deleting it then follow the Gmail sign out. Continue to Gmail new email login. 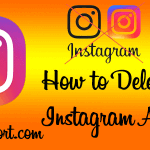 How to Delete Hotmail Account 2019?